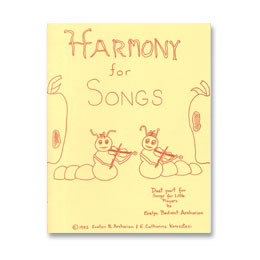 By (Evelyn B. Avsharian) - Harmony for Songs. Book 1. Exciting duet part for A20. Intermediate-beginner level with more complex rhythms. Large size notes.